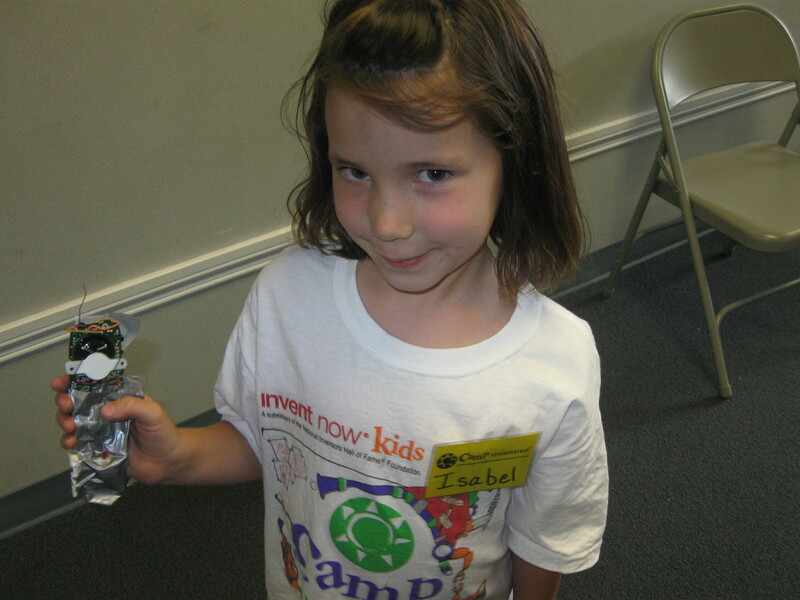 Luke and Isabel loved going to Camp Invention this week. I wanted to put all of the pictures we took there and explain every single one of their projects but it really would be too much. 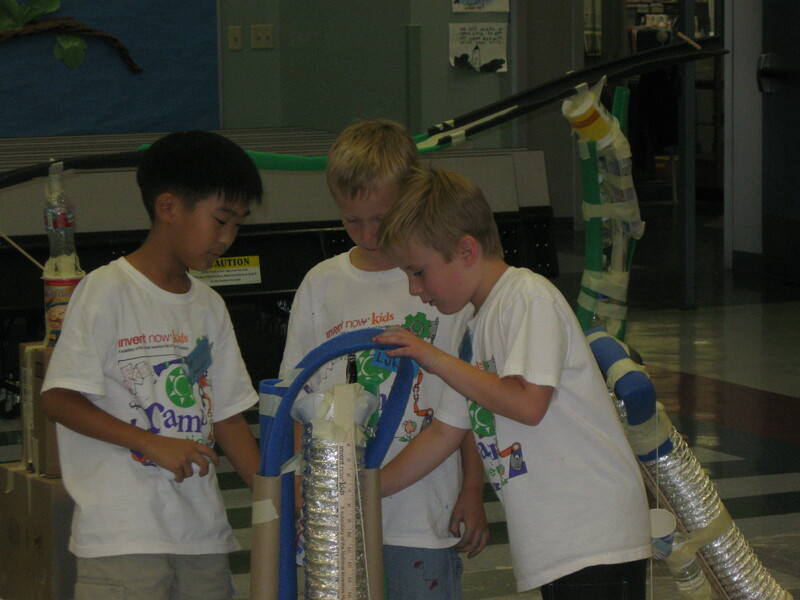 The Camp Invention program helps kids learn and problem solve through imaginative play. This first picture is of Luke and his friends with their egg cracking invention. 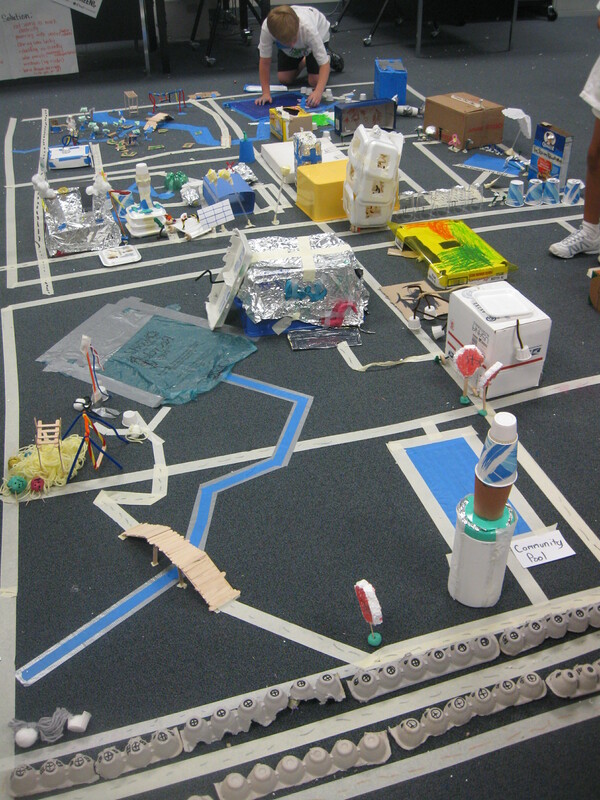 This next picture is of "Sludge City" that the children saved from pollution, built water treatment facilities, and rebuilt. They each got to bring a small appliance or electronics of some sort, take it apart and invent something. 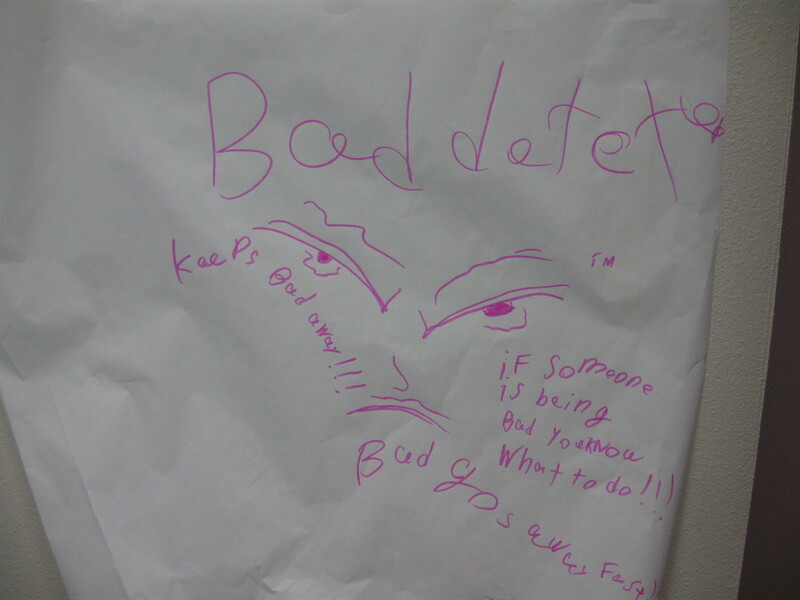 Isabel took apart a cell phone and made it a "Bad Detector." She explained that it is mostly for Sylvia.